Dilraba Dilmurat, often described (at least in the English coverage of Chinese movies) as "a Chinese actress of Uyghur ethnicity, was in Milan for Dolce & Gabbana, joining the rest of the gang (Li Bingbing, Karen Mok) in celebrating Italian design. She was outfitted with a crown-like tiara and lots of signature D&G fashion. Gong Li returns to the big screen with in Saturday Fiction a new film by Lou Ye, also starring Pascal Greggory and Mark Chao as well as Joe Odagiri and Ayumu Nakajima from Japan and German actor Tom Wlaschiha. 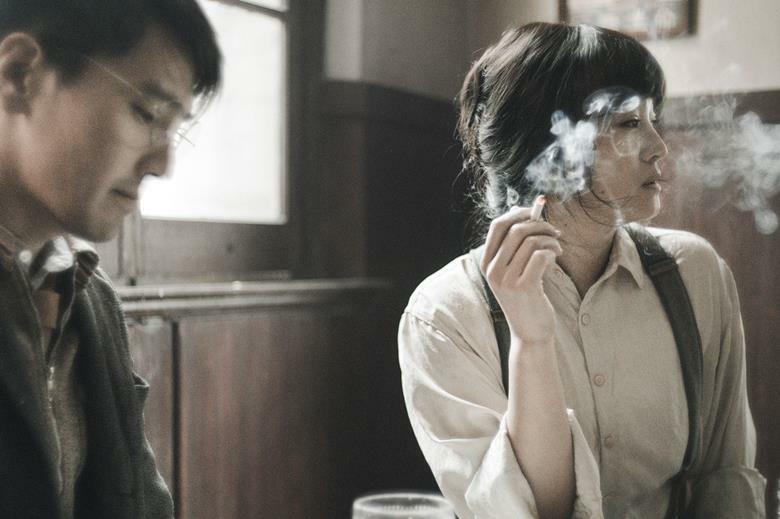 Set in Shanghai in during the first week of December, 1941, the film follows an actress who is working undercover gathering intelligence while starring in a new play. She discovers the Japanese plan to attack Pearl Harbor but chooses not to share the information. 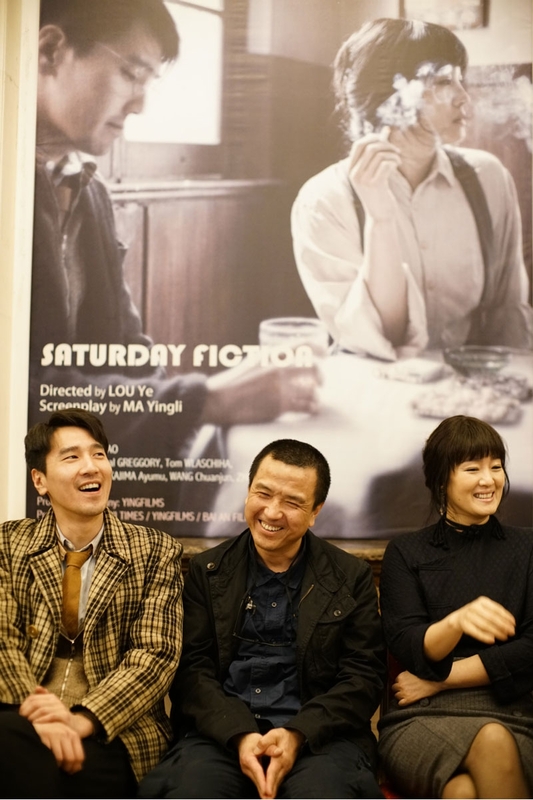 The cast and Lou Ye had a press conference to announce the film. Li Bingbing flew to Milan for Fashion Week. She got off the plane looking a lot more pulled together than anyone should be after a flight spanning a couple of continents. Sina reports that Angelababy was recently a guest on a Chinese reality show about robot competition. The most notable aspect of the article was the sliced and diced googlespeak translation from Chinese to English of the show's title. It came out as "Robot Hegemony". Fan Bingbing is getting ready for the lunar new year with some new specs. Three of the five nominees for Best Director for the Hong Kong Film Awards are women--Ann Hui for "Our Time Will Come", Karean Pang for "29+1 and Sylvia Chang for "Love Education". 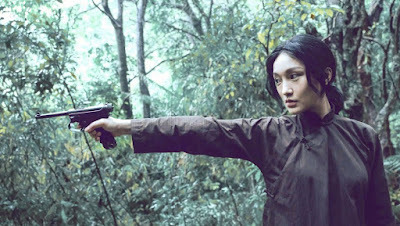 Zhou Xun--also nominated for best actress--aims a pistol in "Our Time Will Come", a drama concerning World War II resistance to the Japanese occupation. 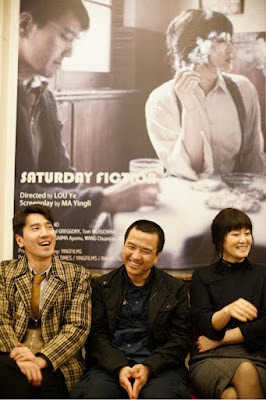 Hui is on familiar ground--this is her 13th nomination as best director. She has won five times. Follow the links for full list of nominees.